Your boiler will gain a percentage point in efficiency for every 40 degree increase in combustion air (according to the US Department of Energy). That can easily add up over time. 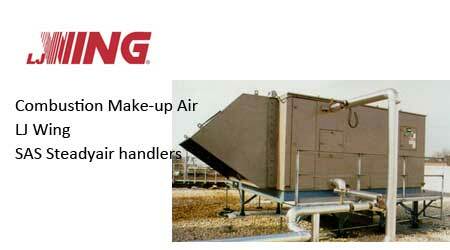 McCotter Energy Systems offers the combustion make-up air units to get the most from the boiler and help your budget. 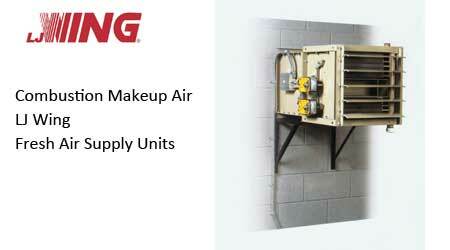 LJ Wing - utilize integral face and bypass coil technology to provide positive freeze protection for make-up air heating with steam or hot water. Available with L.J. Wing's fixed or rotating discharge.